After drawing to PSV in the third group stage match of their Champions League campaign, it appeared Tottenham Hotspur were heading for the exit door. A late Luuk de Jong equalizer added to their misery, as a late Inter Milan comeback on Matchday 1 and a Lionel Messi masterclass on Matchday 2 saw Spurs gasping for air before November had even begun. And yet, Mauricio Pochettino and his band of Lilywhites defied the odds just when it had seemed they were heading on a one-way route to the Europa League. With a number of plucky performances in the back half of the group stage, Spurs managed to escape from the clutches of the much-feared Thursday night football schedule. 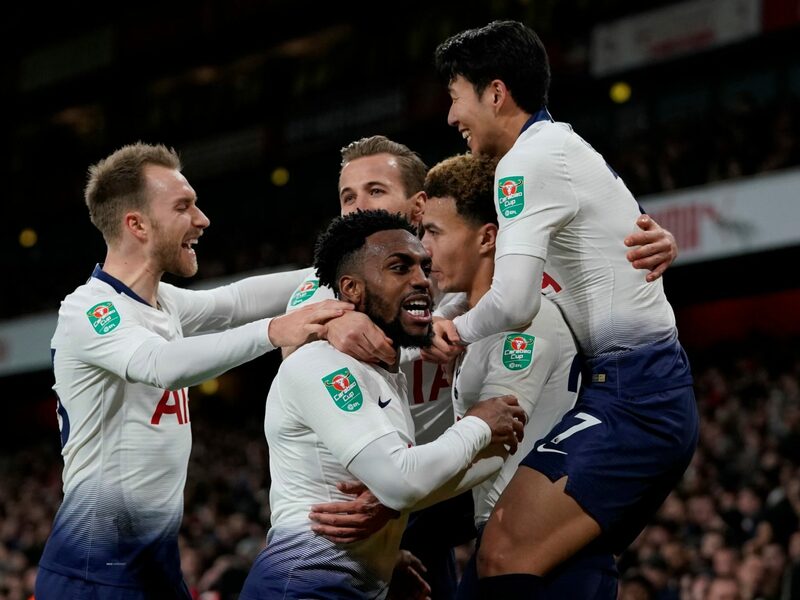 Harry Kane completed a late brace to save Tottenham from elimination against PSV, and between a late Christian Eriksen winner against Inter, a late Lucas Moura equalizer against Barcelona, as well as PSV drawing to Inter on the final matchday, Tottenham did just enough to scrape by to the knockout round. Since then, Tottenham have put an inconsistent group stage behind them and now continue their European adventure in an evenly contested knockout tie with German frontrunners Borussia Dortmund. BVB currently sit on top of the Bundesliga, but after three draws in their past three games, including a DFB-Pokal elimination to Werder Bremen and a late collapse against Hoffenheim, they will be hoping to bounce back and advance to the quarterfinals. Meanwhile, Tottenham have managed a potentially dangerous injury crisis, remaining in touching distance of joining a two-horse title race, and winning four of their last four Premier League matches. The absence of Harry Kane’s brilliance is sure to be a huge miss for the North Londoners, and with Dele Alli also being side-lined, Tottenham’s twinkling forward line looks severely blunted. However, despite the injuries that have plagued them throughout the course of the campaign, Tottenham have been revived by the dazzling Heung-Min Son, who has returned to club football in prolific form since his departure to help South Korea in the Asian Cup. Son has a track record of tormenting Dortmund, having scored a number of goals against them during his time with Hamburg and Bayer Leverkusen. In fact, his record for delivering such sucker-punches to the Yellow and Blacks earned him the title, ‘The Bee-Keeper.’ You only have to go back to last season’s match-up between the two teams on display this Wednesday to see that Son scored in both ties against his old German foe, as Spurs secured qualification into the latter stages of the competition. Nevertheless, this is a rejuvenated, re-energised Dortmund team compared to the placid outfit that took Kane and co. to battle in 2017. The emergence of English starlet Jadon Sancho, once a transfer target for Tottenham before he departed to Germany, has been exhilarating to watch, with the 18-year-old earning himself a place in Gareth Southgate’s national team. Hand-in-hand with the acquisitions of the box-to-box warrior Thomas Delaney and the experienced midfield orchestrator Axel Witsel, mixed with Marco Reus’ sheer quality and genius, Dortmund pose a substantial threat, not just to Tottenham, but any team that they face. In recent months, Spurs have been vulnerable when facing counter attacks. The full backs soar high up the pitch, leaving space in behind, and with Mousa Dembélé since departed for China, Pochettino is yet to find a solution to the gaping holes in midfield when defending the counter. Despite having two of the best central defenders in Europe, Spurs have struggled to defend these counters despite their obvious quality in central defense. With Sancho and co. offering bundles of pace and swift, intricate attacking play, Dortmund will be looking to exploit this weakness. For Spurs to progress, they will have to rely heavily upon Heung-Min Son to carry the torch in the absence of Harry Kane and Dele Alli. Son has proven capable of doing so, as his sparks of quality lit the fuse to blow Tottenham’s sub-par performances against Watord and Newcastle into gritty battles, which saw Son secure the three points for his team in both fixtures. Can he do it on the biggest stage this Wednesday? Will the Bee-Keeper return to sting a familiar enemy?